CustomizeGoogle is a Firefox extension that enhances Google search results by adding extra information (like links to Yahoo, Ask Jeeves, and MSN) and removing unwanted information (like ads and spam). All features are optional and easily configured from the options menu. You can also stream search results so you can scroll all results in one page, and add a “save” link besides all hits for easy bookmarking either with Firefox or a social bookmarking site. 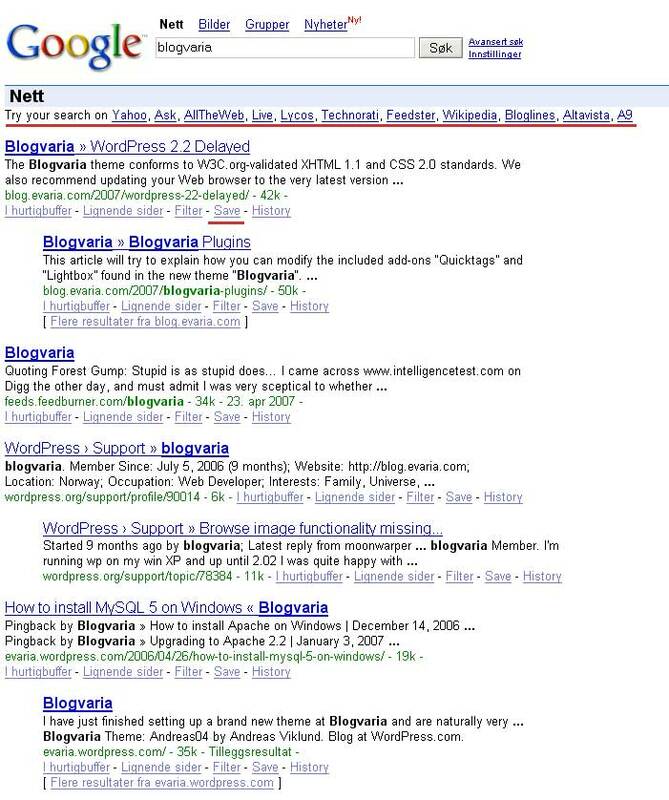 Snapshot of a Google page using CustomizeGoogle (Changes underlined in red). Version 0.58 adds support for Google product search (Froogle) and fixes a bug with secure spreadsheets.